It is almost certain that this game will be a shootout, the offense on both sides are very powerful, and neither defense is looking good enough to stop the others. The whole game is set up for the outcome that we love for fantasy – a pass-heavy shootout. Matt Ryan and Big Ben make up two of the three top-priced QB’s at $6,600 and $6,900 respectively. Both these players are almost identical in their situation, so you can pick whichever you have the money for. I would lean Ryan to save the extra $300; also, stacking Ryan and Julio costs a full $900 less. If you want to spend all your money on a QB this week, that’s a perfectly fair decision. The simple fact is though, when the likes of Todd Gurley, Antonio Brown and Julio Jones all have Sunday evening games (all with preferable matchups) you shouldn’t spend up unless you have a plan to stack the matchup you really love for someone. 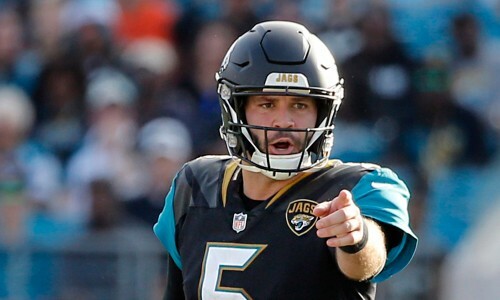 If you’re trying to save money, Blake Bortles is only $5,500 and so he would be saving you a lot of money to spend elsewhere. There is obviously much less upside but he’ll do enough that the saved money could be worth it, if spent wisely. Proceed with caution. Gurley is the best fantasy player in the league, his lowest score in the DK scoring system so far this season is 25.6 fantasy points. 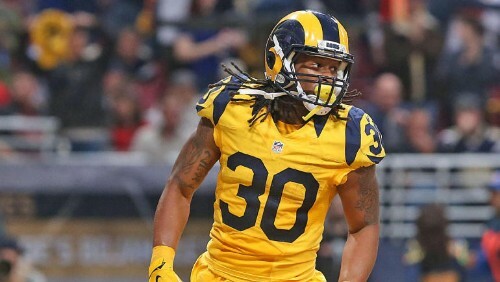 Every game that Gurley is on the field, he will be the guy you want – but you have to spend $9,400. Yeah, $9,400. He might be the only player in the league you would spend that much on this week, but it’s such a team-changing investment. If you splash out on Gurley, on the road in Seattle, you’re going to need to find some cheaper options who can match up to his scoring, to make sure your team doesn’t waste Gurley’s floor. 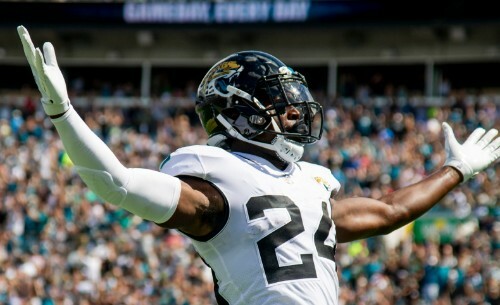 An immediate example of the type of player you need to roster this week to save money is T.J Yeldon, of the Jaguars, who is playing as their primary running back, whilst Fournette is injured. Yeldon is a good back, and at only $5,600, you can’t go wrong with his floor. He won’t get the amount of rushes that the usual starting RB would get, but he is much more integrated into the passing game, which means when he also has the majority of carries, you can definitely expect him to have a very reliable floor against this Chiefs D.
Top Tip: If Geronimo Allison is set to be out (as well as already declared out Randall Cobb) on Sunday, START TY MONTGOMERY. This is the week. I’m all in. I’ve traded for him in one of my redraft leagues. I’ve got him in all of my DK lineups. I believe this is the week that Julio scores big. 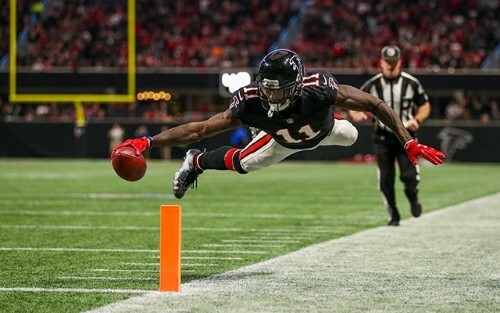 We all acknowledge that the Falcons #11 is an elite talent, no one is arguing against that – but people have all fallen in love with Calvin Ridley because he’s scored big due to Touchdowns. Against the Steelers this week, I suspect a lot of people will be starting Calvin Ridley (and I highly recommend you do that if you don’t buy Julio) at his very enticing price of $5,800, but I am biting the bullet this week. I am happily spending $8,500 on Julio this week, and I am hoping for a very realistic 8+receptions, 100+ yards and a Touchdown. If you go with me on this one, best of luck. This is one of my favourite plays of the week, if you can find a bit of money to spare, Smith-Schuster is absolutely the best WR2 option this week in my opinion. 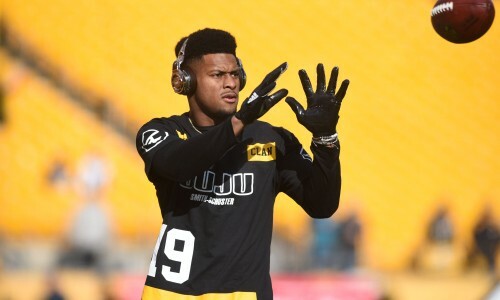 If you can achieve a lineup which combines the likes of Julio with Smith-Schuster, you have massive upside, that is obvious – however, if you bring in someone like Gurley or you prefer to lean on RB’s, the Steelers WR2 is worthy of being the first wideout that you buy this week. If you haven’t noticed yet… I’m basically telling you to play every single person in this Falcons @ Steelers game. 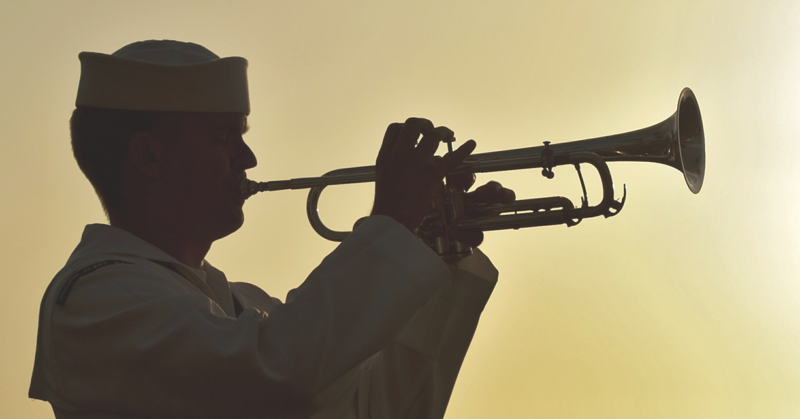 At $7,500 you can definitely expect a good return on your investment if you can’t splash as much on the big guns. This is a really good one this week, I am very excited to start Baldwin this week in leagues, and in DFS contests too. Last week Baldwin came back and immediately began to command the targets from Russell Wilson. Even if that duo isn’t as good as you might have expected it to be – you can’t ignore the extreme discount that you’re getting right now. Wilson is only $5,100 and Baldwin is only $5,000. 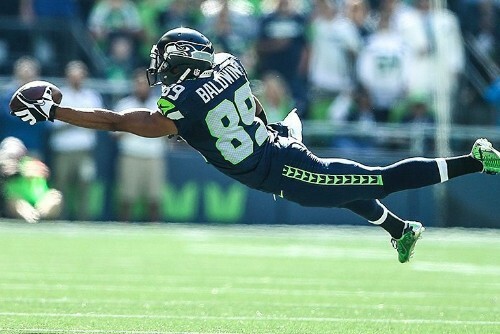 Yes, they are against the Rams defense, and I wouldn’t start the Seahawks QB, but Baldwin has a high floor due to his receptions, and there is always the chance that on just one play Wilson makes something happen and Baldwin’s fantasy score doubles. Are you bored of Falcons and Steelers players yet? 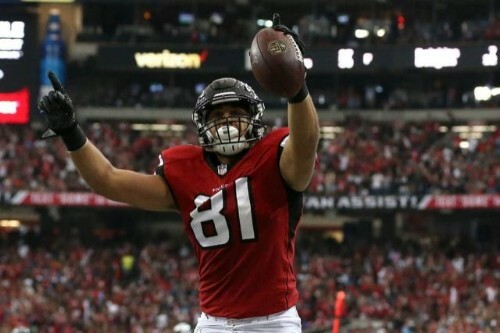 I wouldn’t advise playing 3 players from the same team or anything like that but Austin Hooper has as much a chance as any this week to try and grab 6 points, and so for just $3,000 he could be a very serviceable budget TE this week to allow you to save up for the likes of Gurley and co. I am big on RSJ this week. 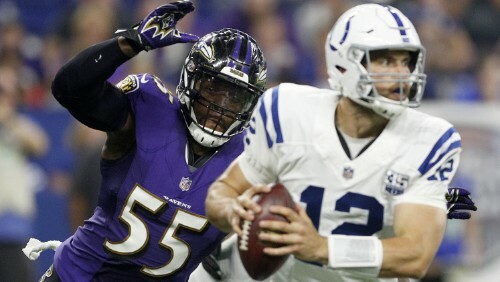 Where I have a TE who is on a bye week or injured etc, this week I would be targeting Seals-Jones, to try and take advantage of people overlooking him. 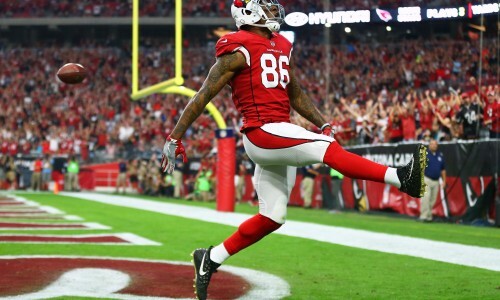 He is a talented receiving TE and he has significantly more upside than every other waiver wire TE. This also translates well to DFS. 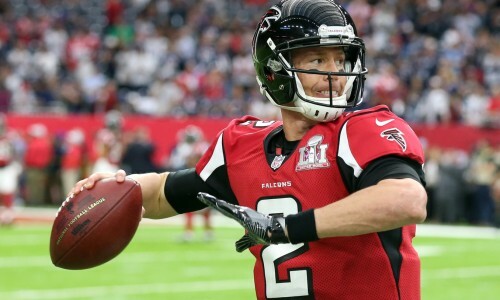 At $2,900 I wouldn’t even say that he needs to hit big for you to win, but he has the potential to do just that – if he scores a TD, you’re instantly getting even more value, for the small investment. There is no real defense that I think you must pick up this week. The Titans are against the Bills so I can definitely see why they are the most expensive D for Week 5, but they’re not worth $4,000 in my opinion. I am personally choosing in the middle tier between teams like the Cardinals and 49ers against each other, or the Ravens, in that $2,800-$3,000 range. I would be willing to start the Broncos or the Bengals too, but if I had to pick one I’d take the Baltimore Defense.